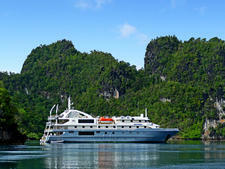 Coral Adventurer will be Coral Expeditions' fourth expedition cruise vessel. Under construction at the Vard shipyard in Vietnam, the ship is scheduled to be delivered in April 2019. The 120-passenger vessel will feature all outside-facing staterooms with the majority having French windows and private balconies. Two suites will each be 592 square feet (55 square meters) and will feature a bathroom with picture windows. The ship will also have an elevator, Wi-Fi in all passenger areas, multiple indoor and outdoor bars, an observation lounge located in the bridge, a small library, and a special purpose room that will be used for activities like art workshops, photography classes and scientific research projects. 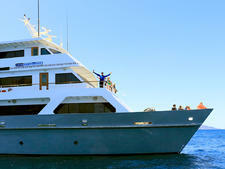 As with all Coral Expeditions' ships it will feature two Xplorer expedition tenders -- open safari boats that can hold groups of up to 60 people. There will also be six Zodiacs for exploration further afield. A single dining room will feature a communal "wine table," and a showcase galley for fresh, small-batch cuisine, will be visible to cruisers. A small gym will be equipped with elliptical trainers and treadmills. 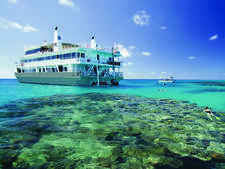 Coral Expeditions will begin sailing a series of introductory cruises in March and April and is scheduled to depart on its inaugural voyage April 24, 2019, an 18-day cruise departing from Singapore and bound for Darwin, Australia. It will operate a range of expeditions in Western Australia, Papua New Guinea, the Spice Islands and Indonesia in 2019 and 2020.